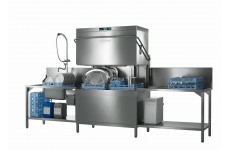 Featuring the INTENSIV 4 system with active drying cycle, dedicated cutlery programme with steam and vaporinse which reduces water consumption to just 1.0ltrs per cycle, PREMAX is the top-tier of equipment from Hobart, delivering the very best in warewashing and showcasing unique, innovative and award-winning technology. The range has been developed in Germany by Hobart introducing advanced, patented technologies and features to meet demanding customer requirements identified through in-depth market research. Benefits of PREMAX machines include enhanced performance together with dramatically reduced operating and lifetime costs. 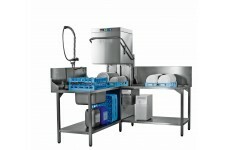 Thermal disinfection dishwasher with integral double rack..
Glasswasher with one 4 division rack. 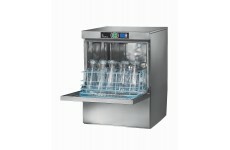 All the benefits of the Profi GC-10A plus PREMAXs INTENSIV 4 system with active drying cycle,dedicated cutlery p..
Glasswasher with one 4 division rack. All the benefits of the Profi GX-11A Plus PREMAXs INTENSIV4 with revolutionary active drying cycle and BASICLEAN..
Glasswasher with inbuilt softener & one 4 division rack. All the benefits of the Profi GXS-11A Plus PREMAs INTENSIV4 with revolutionary active drying ..
Glasswasher with integral reverse osmosis system & 4 division rack. 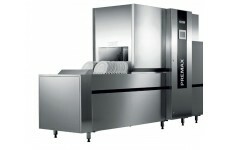 All the benefits of the Profi GCROI-10A plus PREMAXs INTENSIV 4 system with active..
Undercounter dishwasher with Vaporinse. All the ease of use and economy of the PROFI FX-10A plus the benefits of INTENSIV4 revolutionary active drying..
Undercounter dishwasher (with In-built Softener) & Vaporinse. 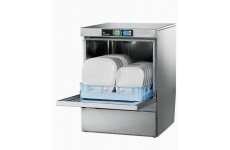 All the ease of use and economy of the PROFI FXS-10A plus the benefits of INTENSIV4 revo..
Twin / Double Rack Dishwasher with four plate racks, two open racks & two cutlery baskets. All the ease of use and economy of the PROFI range plus.. 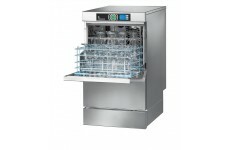 Rack dishwasher with Dryer, heat recovery system, 3 plate racks, 2 cup racks & one cutlery basket, 300 racks an hour..